I'll admit it: I've spent way too much time perusing Sephora's best-selling items and fixating only on the retailer's most-reviewed products—even to the point where I was buying items I didn't need because I was blindly subscribing to the hype. But can you blame me? It's hard not to be enticed by thousands of glowing reviews, with customers adamant about a product's skin- or hair-transforming abilities. I soon realized, though, that only buying Sephora's cult products meant I was missing out on two categories of other amazing items: effective Sephora products that hadn't achieved cult status yet and strong products not available on Sephora at all. It became clear that I needed to expand my horizons after discovering that NatureLab Perfect Shine is my favorite shampoo I've tried to date. It's not available on Sephora, and it boasts a relatively modest 43 reviews on Amazon, though most are extremely positive. If I had solely relied on cult products with thousands of reviews, I would have missed out on the formula that truly works for my hair. Moral of the story: It never hurts to broaden your search and look outside your go-to beauty retailer or brand. So without further ado, scroll down to shop my favorite beauty products right now. I have frizz-prone, curly hair, and this shampoo-and-conditioner set, available on Amazon, is my favorite shower product by far. After the shower, I use this product before any heat tools to prevent my hair from reverting to its naturally frizzy state. 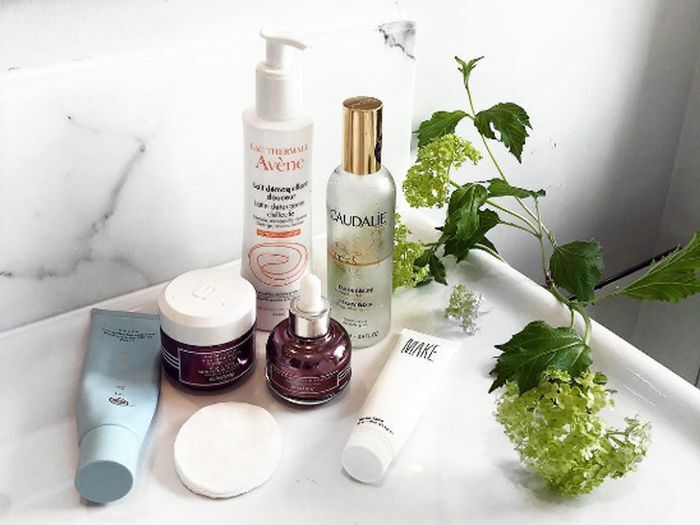 Biossance's newest cleanser hasn't had enough time to rack up hundreds of reviews on Sephora but is already well on its way to cult status. After trying it, I found that it's super helpful to keep oiliness at bay. After I got a treatment at Heyday in Los Angeles, my facialist highly recommended this exfoliant for my acne-prone skin. Grown Alchemist isn't currently available at Sephora, but I'm glad I broadened my horizons with this amazing product. This was another product my Heyday facialist suggested, and it's an amazing option if you're looking for a chemical exfoliant. This product might not have hundreds of reviews yet, but it's one of my favorite moisturizing masks and is more than worth a try. Don't overlook this amazing toner just because it's not on Sephora. It's available on the brand's website, as well as on Amazon and Ulta. “It’s like a really chill filter for your face.” Yup. That’s how I described one of my beauty essentials for @byrdiebeauty’s #justfivethings video. 😂 See the whole thing—starring @isclinical, @shanidarden, @diormakeup, @supergoop, @theouai, @jenatkinhair, @gwynethpaltrow, and @goop—plus detailed description as to why these products will change your life, on @byrdiebeauty now. Available at Dermstore, this product is a bona fide holy-grail buy and boasts ingredients to fight both acne and signs of aging. I first learned about it from our co-founder Hillary Kerr's above video and had to try it for myself. La Mer's creams already have cult followings, and the brand's newest launch, The Concentrate, will no doubt follow suit shortly. I'm one of the rare people who don't have an Amazon Prime subscription, so I really wish Sephora would start stocking this cult-favorite product that helps heal scars. Yes, I had to throw in another NatureLab product because the brand is that good. Next, shop our favorite moisturizers on the market.